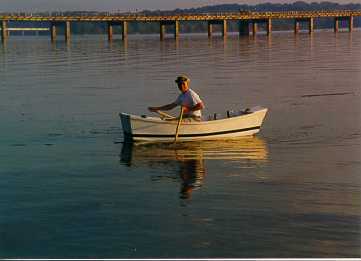 "Toodlebug" is the name of my Elegant Punt. I built her to use as a dinghy behind my MacGregor 26X, and painted her to match. 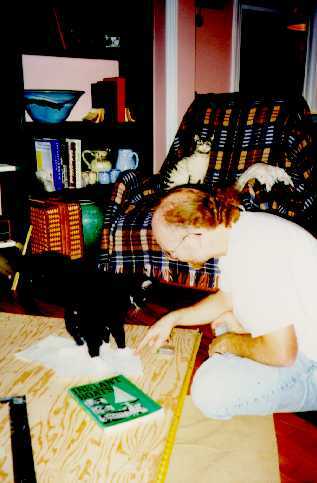 Buy the book, purchase the plans, fend off Floyd (the cat, not the hurricane), label the lines, and build the boat. 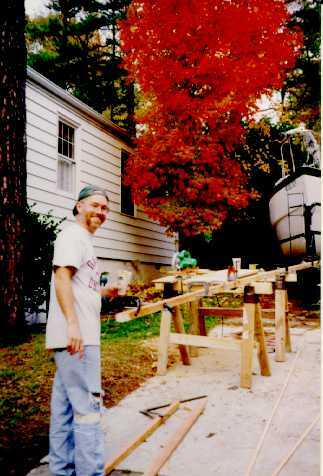 Eventually the building is finished. 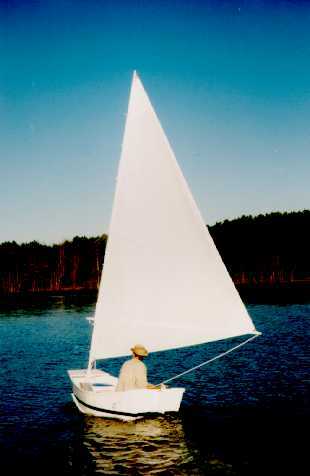 "Toodlebug" is on her maiden sail in October 1997 on Jordan Lake in North Carolina. A sunset row on Kerr Lake near Clarksville, VA. Thanks to Ron & Mickey for the photo. 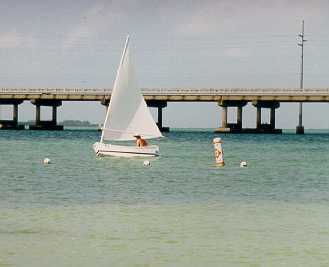 One afternoon I sailed from the Atlantic to the Gulf of Mexico near Bahia Honda State Park in the Florida Keys. Thanks to Beverly for the photo. 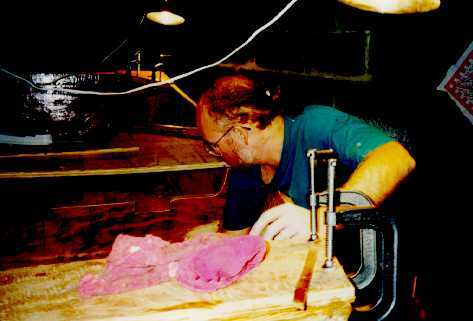 You can also read about it in both of his "instants boats" books. The green book shows more detail.